However, the ruling is not applicable to New York City, which is planning for and currently moving forward with some of the most complex projects in the country. There are numerous benefits that can be realized by the design-build project delivery method including collaborative teams, streamlined communications, minimized likelihood of disputes and change orders, cost savings, and shorter schedules. So why is design-build not authorized more often in NYC? Despite being on the forefront of trends and cutting edge design, union concerns and the misperception that agencies need to give up control over their projects are major factors that have hindered the legislation for design-build in the city. In 2011, New York passed a design-build reform for five state agencies in an effort to deliver critical projects to tax payers. The law has not expanded into a statewide legislation; however, several success stories have resulted from the implementation of design-build within the past few years. One success includes the replacement of the $3.9 billion Tappan Zee Bridge which had originally been scoped as being a $5.6 billion effort. Combining the design and build contracts into a single design-build contract resulted in a significant cost savings of 30%. The project was also delivered 18 months earlier than if a traditional model was used which also saved the state on costs throughout the construction phase. Further, the Kosciuzko Bridge, a $550 million project that connects Brooklyn with Queens, was also delivered via design-build and came in on time and within schedule. 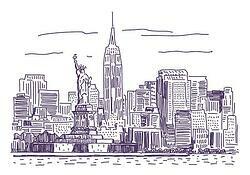 Unfortunately, New York is one of five states to have limited design-build options compared with 25 states that have widely adopted design-build for public projects. Some of these states include California, Texas, Ohio, Arizona, and Florida. Team collaboration is essential and should begin in the early planning phase. This is an especially important aspect for a streamlined RFP process and overall project delivery. Owner organizations need to fully understand the design-build process and utilize standards from national organizations such as the Water Design-Build Council. If an owner organization does not have in-house staff with the experience to manage a design-build project, a best practice is to hire an Owner’s Advisor to help guide the organization through the planning, selection, and implementation. Setting clear and achievable goals that are tailored to the design-build project is imperative. It is not always possible to deliver a project cheaper, faster, and with the highest quality standard and lowest operational costs. Deciding on the key goals is necessary during planning and will keep teams focused on achieving those targets over the lower priority nice-to-haves. 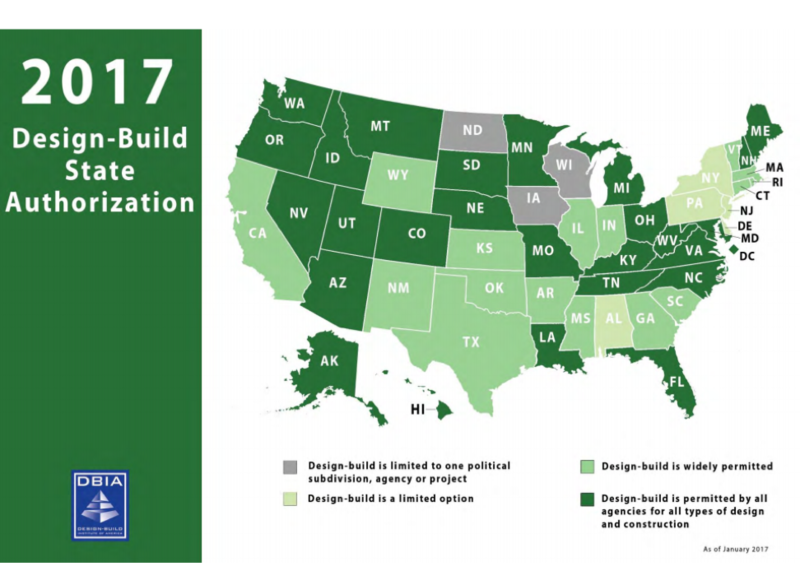 This January 2017 graphic, published by the Design-Build Institute of America, provides a quick and comprehensive understanding of which states currently authorize design-build without limitation and which states continue to limit this delivery approach. As shown below, the western part of the nation has widely adopted design-build but the eastern states have lagged a bit behind. The recent news of New York submitting a budget that supports design-build is a strong foot forward in the right direction. With the new U.S. administration’s focus on implementing more Public-Private-Partnerships to fund major infrastructure projects, design-build will certainly be part of more conversations sooner rather than later. As design-build advocates, highlighting success stories and partnering with organizations like the Water Design-Build Council will continue to advance design-build toward wider state legislation adoption.